A world where order, logic and peace is above all else. A world which is an interminable gray. Zoel Q-24's world where people are stripped off of every emotion to the extent of being called subjects. It seems like a perfect world because there is no fear, no anger, no hate and no greed; emotions that were the cause of the downfall of Old Earth. The Community is the be all and end all. Perfection. But technology can only go so far and humans are evolutionary creatures. Subjects are sometimes able to feel emotions and see colors. To glitch. Zoe has been glitching and while she cannot control her glitches, she works hard to keep them under control. To clear herself of any emotions. An ideal situation calls for a diagnostic to fix the V-chip so that the subject can be fixed. 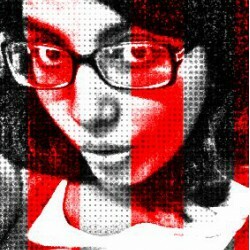 Glitching is an anamolous behavior in the Community. More anamolies mean the subject are useless, to broken to fix. Deactivation is the logical solution to such subjects unable to contribute to the community. But Zoe doesn't want to let go of the glitches because then, instead of the retina display of the Link News, she can access her thoughts, feel and see. She also has a Gift. A Gift that she is afraid of because it will cause her immediate deactivation. So she goes on, pretending. However, there is a boy whose glance lingered on Zoe for more than a split second. The one with the aquamarines eyes. Is he a Monitor or someone she can trust herself with? It is hard to believe that anyone else could also glitch and be a cause of destruction in the Community. But Adrien helps her and tells her about the lies the community has fed about themselves and about the Old Earth. Adrien's Gift makes it easier for Zoe to trust him. Then there is Max. Max with a Gift which makes her afraid for him, the risks he is willing to take. But he is reckless and seem to be hiding something. Almost unable to deal with emotions. It makes Zoe question things. But being in the dark about human emotions for so long, it's quite easy for her to be in the dark about uncertain emotions. The Regulators and Monitors watch the subjects for any anamolous behavior and the Officials do the rest of the work. It all seems perfect. Too perfect. 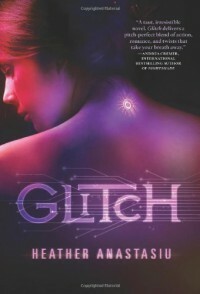 Glitch is a fast-paced dystopian novel about a perfect world of technology where nothing could go wrong as long as there are V-chips, memory erasers and deactivation. Glitch offers characters unable to think, unaware and linked together as moving, breathing robots. It is a very intriguing concept where technology fails to deliver perfectly. Zoe is caught between her obligation to the community and the taste of diversified beauty the world has to offer her. Where will her decisions finally take her, I am curious how Zoe's story will move forward in Override.